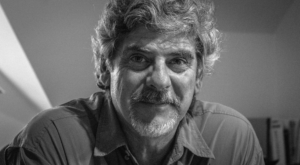 Ronald Tremblay, owner of The Garage in Vancouver, is chairman of the Automotive Retailers Association of British Columbia, and newly elected president of the National Automotive Trades Association (NATA). Ronald Tremblay, owner of The Garage in Vancouver, B.C., has been elected the new president of the National Automotive Trades Association (NATA). The association, an umbrella group for aftermarket repair associations in Canada, met in Toronto to elect a leader, welcome new members, write a new mission statement, and reconfirm its commitment to the Canadian Automotive Service Information Standard (CASIS), a voluntary agreement between the independent repair community andautomobile manufacturer associations. Tremblay takes the helm following the resignation in September of Toronto shop owner John Cochrane, who believed the association was not doing enough to protect and expand the aftermarket’s access to repair vehicle repair information, training, tools, and security protocols. In his first statement to the industry as NATA president, Tremblay said he is confident that the needs of technicians are being met by CASIS. The annual general meeting was also attended by Dale Finch, representing the Western Canadian Automotive Business Association (WCABA), a new group under the NATA umbrella. A press release from NATA says other aftermarket groups in Canada have also been in touch to discuss “possible engagement” with NATA. As part of the annual general meeting, a strategic planning workshop was held with the assistance of an independent facilitator to clarify NATA objectives and strategies. 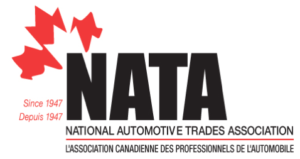 The National Automotive Trades Association (NATA) is a federally chartered ‘association of associations’ founded in 1947 to present a unified voice for the Canadian automotive trades industry. Paid Castrol GTX MAGNATEC® engine oil is now fully synthetic!